Hyundai’s refreshed i20, with emissions from as low as 84g/km, will hit showrooms in May, with the entry level 1.2 Classic three-door priced from £9995, with prices topping out at £14,295 for the Style diesel. There are two petrol and two diesel engines on offer, with the lowest emissions and best fuel economy offered by the 1.1-litre diesel, which is congestion charge exempt and free to tax regardless of which trim level you choose. The i20 has been a cosmetic overhaul and now follows the same styling language as the recent i30 and i40. Not only has the exterior been revamped, but the interior now benefits from improved quality, with soft touch materials and a revised centre stack. Additionally there’s a £11,795 Blue model, which features fuel saving equipment to improve economy to 88.3mpg on the combined cycle, with emissions of 84g/km. The 1.2 petrol has also been improved, with efficiency up from 55.4mpg to 57.7mpg. 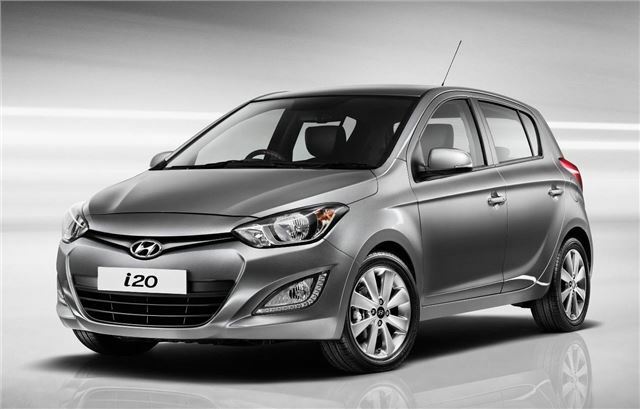 The updated i20 goes on sale on May 7 2012.